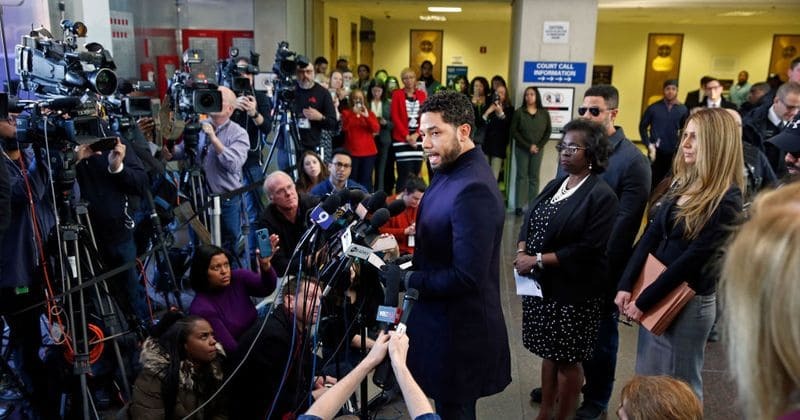 On Tuesday, the prosecutors in the Jussie Smollett case suddenly dropped charges against the ‘Empire’ actor. He was accused of lying to the police about being the victim of a racist and homophobic attack, and on February 14 the actor had pleaded not guilty. The prosecutors’ decision came as a surprise to many, especially the mayor of Chicago and the police department, and the fact that the charges were dropped without citing specific reasons has further increased speculations surrounding the case and what really happened. Police’s investigation shifted after they spoke to the brothers who allegedly attacked Smollett. Brothers Abimbola “Abel” Osundairo and Olabinjo “Ola” Osundairo claimed that they were paid $3,500 to stage the attack. It was also reported that one of them was also cast as a side character on ‘Empire’ proving prior relationship with the actor.